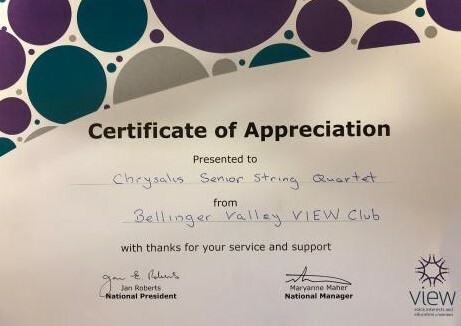 The Chrysalis Senior String Quartet (or FALL Quartet as they have named themselves, using the first letters of their names) performed for the Bellinger Valley View Club on Monday 19th November to rapturous applause from the 80 attendees and the Christmas Lunch event. They were very impressed by the ability and musicality of the Quartet and their wide-ranging repertoire. 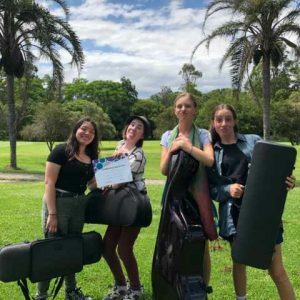 The Quartet played for almost an hour straight and still didn’t play all of their favourite pieces! It was lovely to hear the ladies sing along to Silent Night and Skye Boat Song. 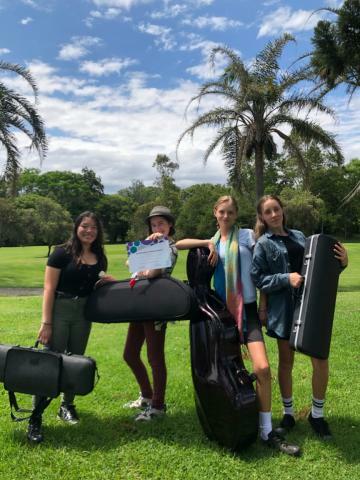 The students were able to experience for a day the ‘gigging’ life of a musician – pretty fun!! 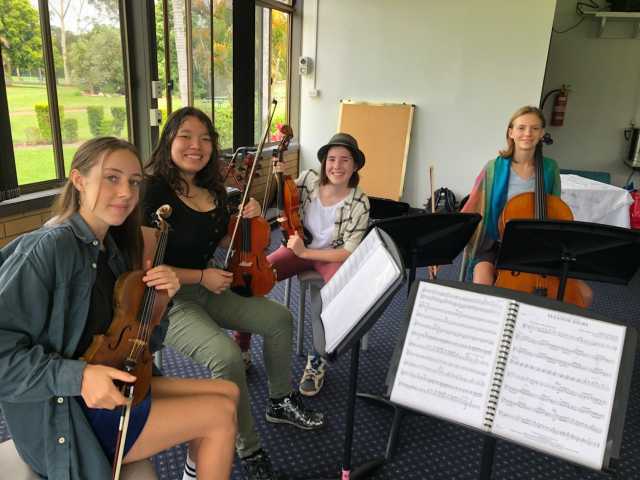 Catch the Quartet opening the Music Concert at the Mem Hall, playing 6:00-6:30pm (concert begins 6:30pm).